Listen to an Airfield Services Your browser does not support the audio element. Listen to a Criminal Defense Attorney Call Your browser does not support the audio element. Listen to an Equipment Rental Company Call Your browser does not support the audio element. Listen to an Oil Field Services Call Your browser does not support the audio element. Listen to a Towing Company Call Your browser does not support the audio element. Listen to a Call in Spanish Your browser does not support the audio element. Voicemail: We can set up voicemail trees, individual voice mailboxes with personalized greetings, custom hold prompts, voicemail transcription, and more for Provo businesses of any size. Message Delivery: Our state-of-the-art technology makes it possible for us to take your messages and forward them to you via email, text, fax, or phone. Customer Service: By following your call script, our call center can serve as your Provo business's virtual customer service department. We can answer common FAQs, handle customer complaints, screen calls, forward urgent messages, and more. 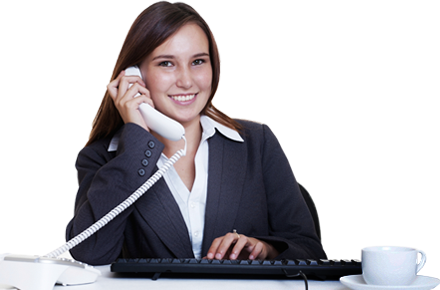 Virtual Receptionist: Our professional phone agents can act as your front office receptionist by answering your calls, taking messages, scheduling appointments, and more. Inbound Telemarketing: We follow your sales script, take orders and payment information, and enter in and forward customer data any way you need it. Dispatching: We offer dispatching via two-way radio, cell phone, and tablet. Alarm Monitoring: We can remotely monitor your fire alarms, oil leak alarms, gas leak alarms, etc. Emergency Response Coordination: When one of your alarms is triggered, we'll proceed with calling all of those on your emergency contact list, such as on-call supervisors and/or first responders, such as the fire department. To help you determine which services you need and how they can be tailored to help your Provo business become more time efficient and cost effective, BTE offers free consultations. 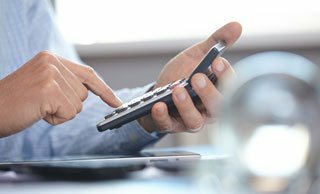 We also assign each client a dedicated account manager who will continue to ensure that our telephone answering services are meeting your needs. All of our contracts are provided on a month to month basis and charged on a per unit basis (each incoming call, cross connect, page, email, text, or relay is equal to one unit, while radio relays are equal to two units). This means you only pay for what you use and only for as long as you need it. Call BTE today. We are available 24 hours a day, 365 days a year. 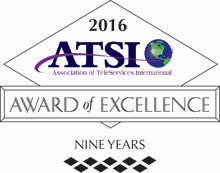 We are a member of the Association of Teleservices International (ATSI), and have more than 50 years of experience providing customizable call center services to businesses from a wide range of industries. We keep all client and caller information confidential and are compliant with HIPAA regulations. BTE Communications can provide oil drilling companies in Provo with dependable alarm monitoring, emergency response coordination, and dispatching. After 50 years of working with those in the oil field industry, BTE has built a reputation for knowing the challenges unique to their field and having the capabilities to meet their expectations. For us, alarm monitoring, emergency response coordination, and dispatching is about remotely monitoring your alarms and dispatching ambulances, the local fire department, or other help according to your emergency response plan. By helping to ensure that you can detect and respond quickly to fires, oil leaks, gas leaks, and other emergencies, you are likely to reduce injuries, property damage, and losses. Call today to learn more about integrating our 24-hour alarm monitoring and emergency response services as part of your emergency plan for your Provo company. Since 1958, BTE Communications has provided attorneys and law firms with customizable, cost-effective, and confidential phone answering services. To meet their specific needs, we typically work with them to develop a call script and clear protocols for our call center staff. 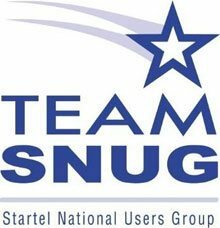 For some, we are an after-hours answering service that helps to capture new leads and patch urgent phone calls through. For others, we are a virtual receptionist: we answer common questions, patch through or reroute callers, take messages, screen callers, schedule appointments, and more. For most of our legal clients, we also set up voicemail. Call today to learn more about our customizable call center solutions for lawyers and law firms in Provo, Utah, and surrounding areas. 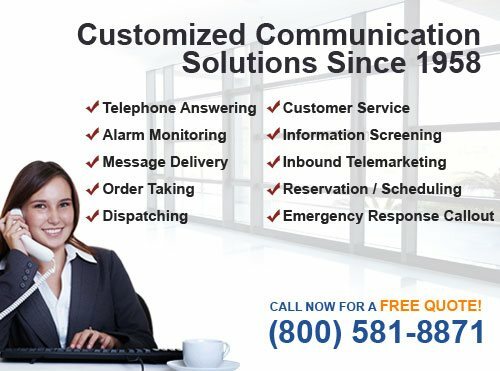 BTE Communications combines 50 years of answering service experience, industry knowledge and professionally trained staff so we can provide Provo businesses with affordable, customizable and reliable inbound telemarketing services. Having been in business since 1958, BTE understands that many small businesses lack the manpower or funds needed to hire full-time receptionists or inbound telemarketers. For many of these types of businesses, our call center services provided them with an optimal solution as we gave them the level of phone support they needed at a price they could afford. For many clients, our virtual receptionist services helped to give them the appearance of a more well-established company, and for others, our live answering, voicemail, and inbound telemarketing services helped them to manage their calls while they grew their business and determined their needs. In each case, we answered the calls of our commercial clients with their company's name, followed their call script, and provided professional and courteous customer service. Additionally, our month-to-month contracts and usage-based rate plans can make it easy for Provo businesses to use us on an as-needed or trial basis. Call BTE Communications to learn more about our professional call center solutions for your busy Provo business. At BTE Communications, we understand how important accessibility and responsiveness are for municipal services, like water, utility, transit, sanitation, and power. To help, BTE Communications offers flexible and cost-effective call center solutions, such as live answering services, scheduling, voicemail, cell or radio dispatching, message taking, advanced message delivery, remote alarm monitoring and emergency response coordination, and more, to Provo municipalities. We have been serving municipalities since 1958 and know how to tailor our telephone answering services to meet their needs. We are available 24 hours a day, 365 days a year, and offer month-to-month contracts at highly affordable rates. Call BTE Communications today for more information on our expert answering services available throughout Provo. Since 1958, BTE Communications has supplied property management companies with customized call center solutions. These solutions can range from around-the-clock phone answering services to after-hours message taking and call screening. With our help, your property management company in Provo can better serve existing tenants, respond faster to emergencies, and offer some relief to property managers after normal business hours or when they are sick or on vacation. Our call center is capable of answering your phone lines either throughout the day or after hours, taking messages, answering questions, and forwarding calls or messages to your designated employees. We can also help realtors and property management companies fill vacancies by scheduling prospective tenants for you. Call BTE Communications to learn more about our property management answering service solutions for Provo, Utah.